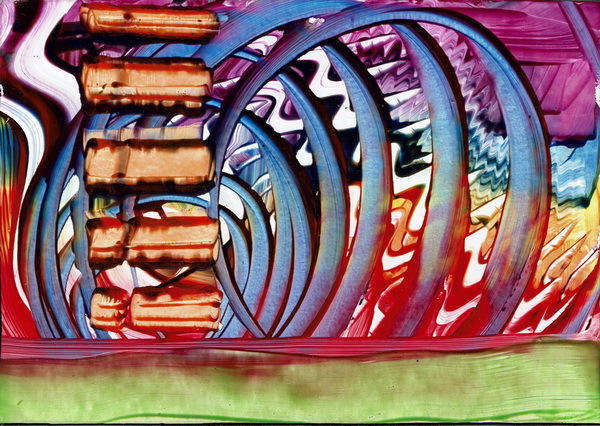 Welcome to some long awaited news for Encaustic Art. 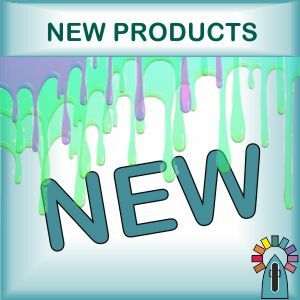 We finally have a bunch of new products including a dual heat Stylus Pro with many tip types available and a new Compact Hotplate which is powered by the iron. 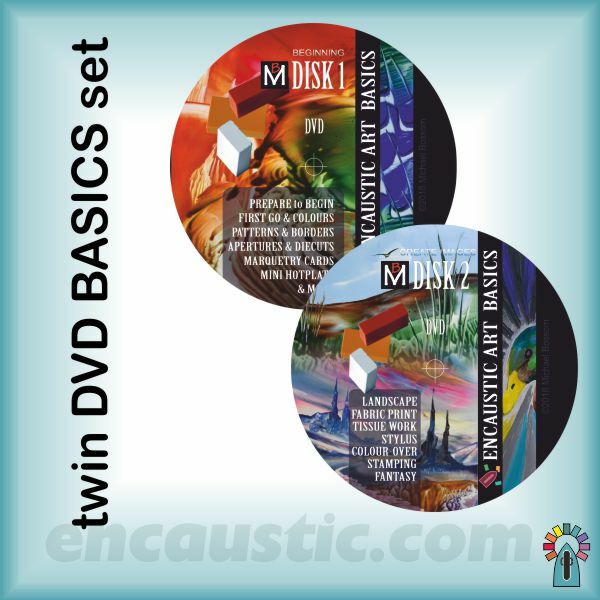 And to bring information up to date and make learning and your early success easier there is a new book Encaustic Art BASICS by Michael Bossom and a new BASICS twin disk DVD which both complement one another in teaching the basics. 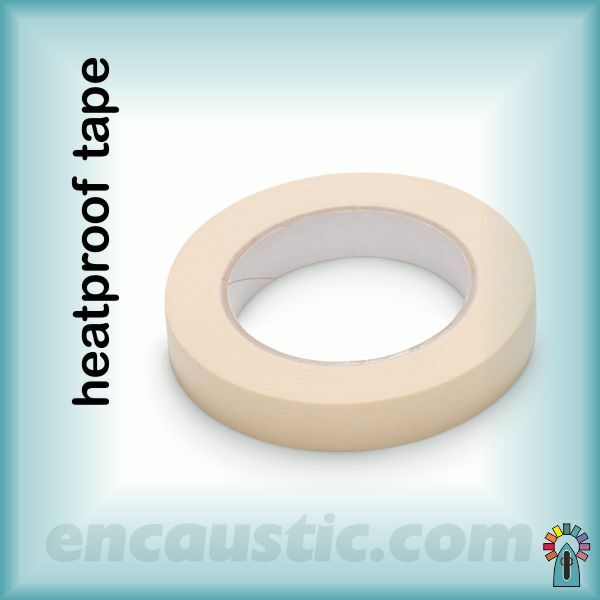 There are some sundry things too, like a brilliant heatproof tape for use on the hotplate or with any low heat applications where you want to hold something in place. There are pads of workplace paper too. There isn't space to show them all here right now, but across the next months we will showcase and demonstrate many of them for you to better understand their value. The recent TV hours on Hochanda are available for view on their rewind option. If you would like to see them (you can skip through and just watch what interests you), then go to our recent TV link post. A new dual temperature Stylus with drawing tip, brush head and rectangular shape head for spreading and patterns. This tool allows you to paint wax colours with real care and precision. Five fun tip icon shapes that fit the threaded Stylus Pro but also work well in the older single heat stylus - fitting as usual with screw to secure them. 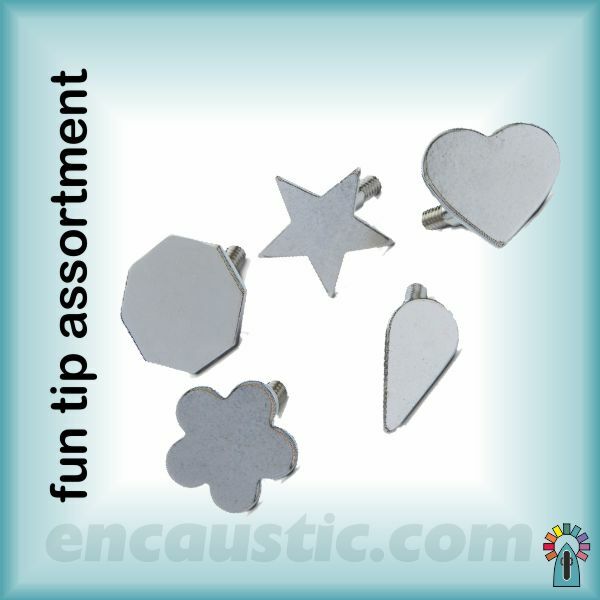 These allow easy and recognisable shapes to be created in the wax. Nice for messages , borders, etc. Our brilliant new hotplate is 25 x 18cm making it spacious for A5 cards and also great as a heated palette for brush working. It is powered by the iron, so if you already have one of them it is a lovely thing to use and have to hand. This heatproof tape does just what the name implies - it sticks to heated things with no problem and peels off easily too. 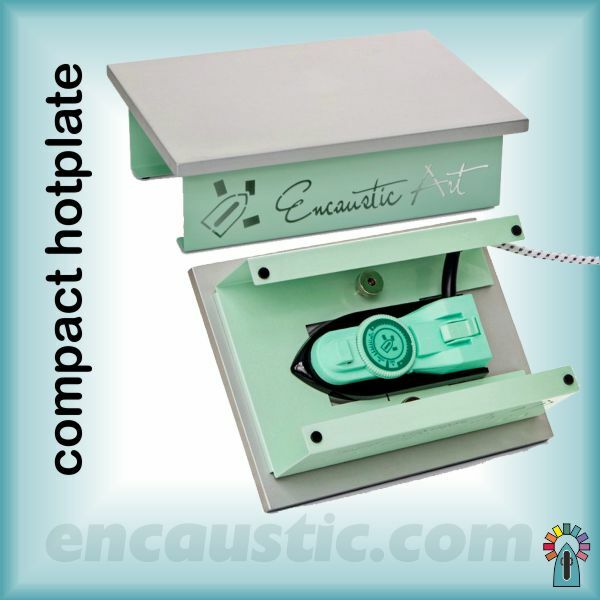 Great for holding your cards in perfect place on the hotplates. 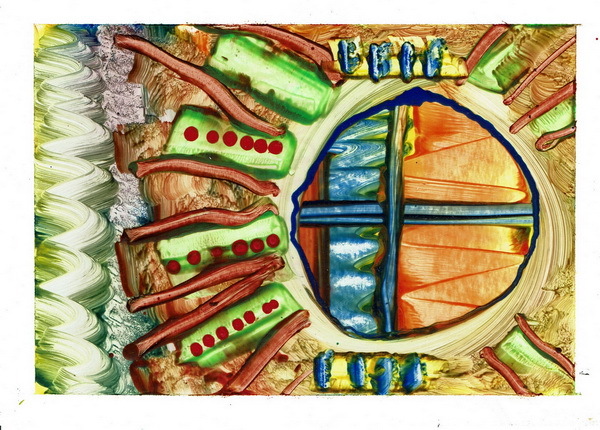 It can create wonderful clean borders and divisions in the art work too. Either around the edge as below left, or creation of panels as below right. Both from the live TV demo. 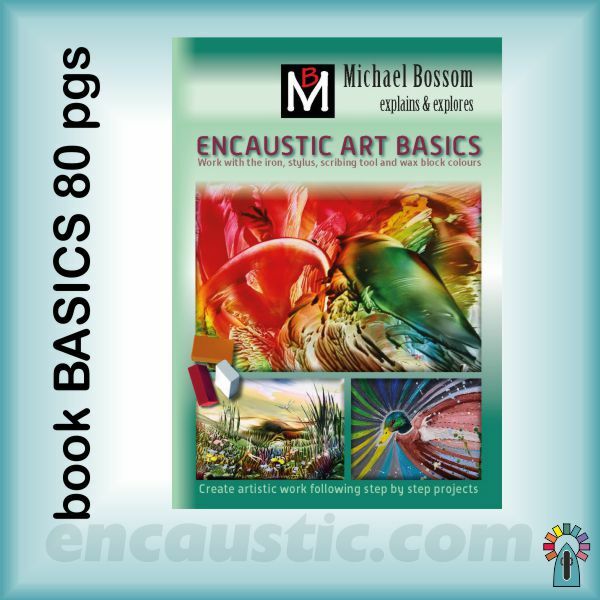 A new book by Michael Bossom titled Encaustic Art BASICS. It is an 80 page A4 format and covers everything a beginner needs to know. 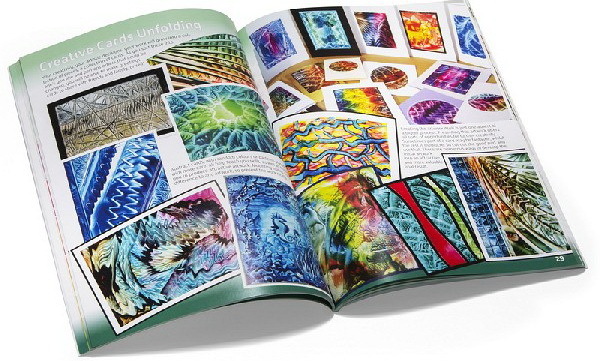 Totally crammed with step by step images, photos and explanations, this book brings Encaustic Art up to date. 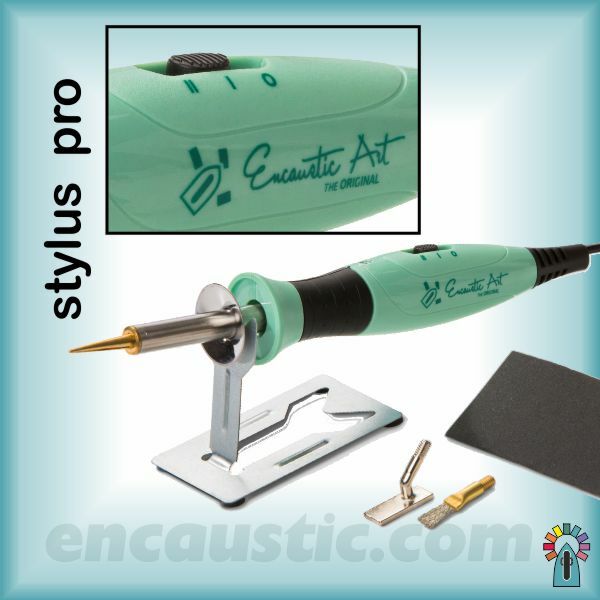 It includes stamping, die cutting, Stylus Pro colouring-over, card marquetry, etc. 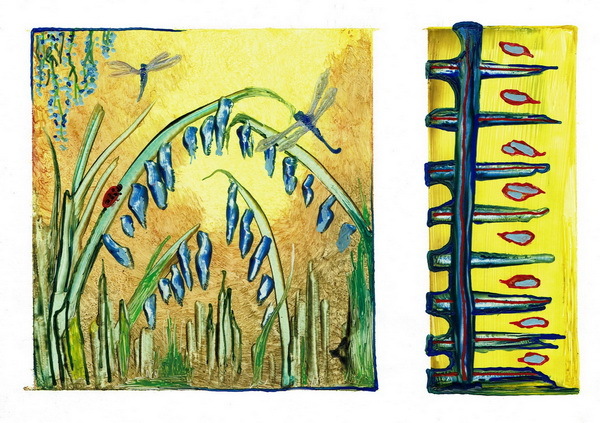 Two disks totaling 231 minutes of in depth BASICS for Encaustic Art. 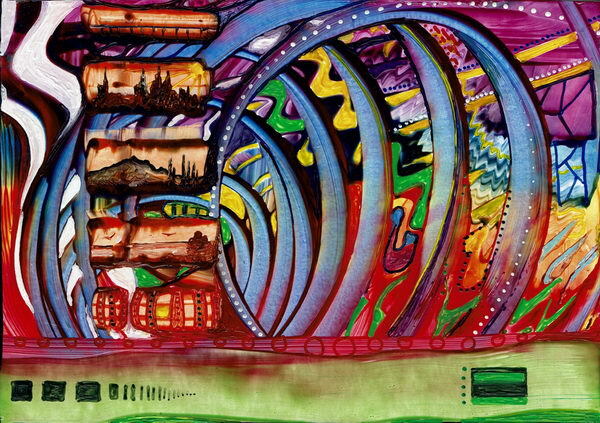 This DVD shares many of the projects that are also printed in the book above. If you like live demonstration for learning then this DVD set will help you succeed. These disks work in perfect combination with the book above too - they show the live action & the book shows step by step reference stages.